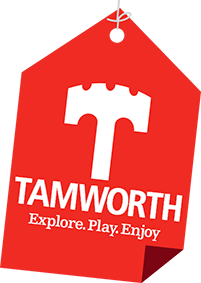 For information on Tamworth and the surrounding area, please contact Tamworth Tourist Information Centre, where our friendly staff can assist you with their local knowledge and resources. We also have a gift shop where you can purchase a wide range of gifts and souvenirs and are the box office for many local events. 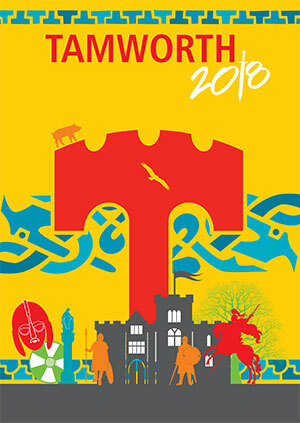 For groups and coach parking please see the Tours and Sightseeing page. Address: Marmion House, Lichfield Street, Tamworth, Staffordshire, B79 7BZ. SMS text messaging: start message with TBCTIC followed by your enquiry to 88020. In addition, they will be open from 8am - 5pm all week during the Staffordshire School Summer holidays. There are also toilet facilities within Ankerside Shopping Centre (next to the Castle Grounds) during their normal trading hours. They are located on the shopping centre next to the parking pay machines on exit to the car park on level 5, opposite Shopmobility. There are no external public toilets but most of the stores on the parks have public toilets available within the stores. All toilets have baby changing facilities. Changing places are currently available at Drayton Manor and Kingsbury Waterpark, please check the Changing Places website for more information. View the latest Visitor Guide by clicking on the image above.